The move has happened, and now you are standing in your new home. Boxes are all around you and the home is empty. What now? Take a deep breath and a moment to enjoy the empty home and to get your mental state right. Once you release it…it’s time to get to work! Now is the time to unpack and get everything situated. For most people, this is overwhelming. After all, you may have tons of boxes and personal items that you need to unpack and get set up. This can be even more bothersome if you are facing a deadline for getting your items unpacked, such as if you are needing to get to work in a few days. So, where do you start? You should always start with the bedding in a room. 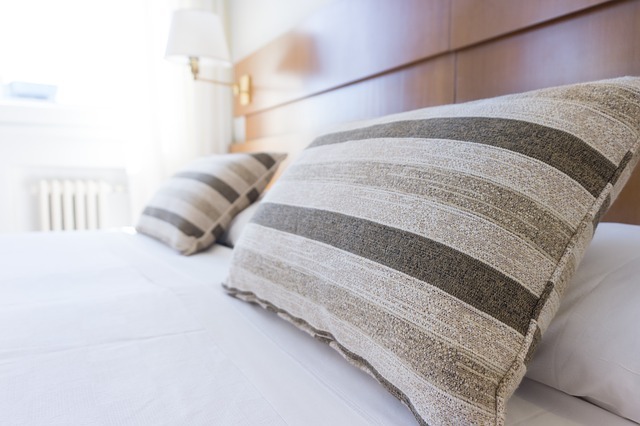 Unpack the mattress, sheets and comforters to ensure that you have somewhere comfortable to sleep tonight. Remember, once you have this done, most everything else tends to fall in place. If your entire family is unpacking, be sure that the beds are the first thing in each room. This way when night falls, everyone can feel more at home in their own bed! Dressers and clothing should be your next step. Most people have their necessity bag that contains a few changes of clothes in them for emergencies. However, if you do find that you must go to work or school in a few days, unpacking your regular clothes and putting these away in the closet or dressers is a must do! After all, no one want stop have to go through boxes to find clothing for work first thing Monday morning. The kitchen should be another room in which you pay attention to and do as soon as possible. Everyone must eat, and having something to eat on is going to be great! Even if you get a few pizzas that first night, having your familiar dinner plates can be relaxing and make this new house start to feel like home. Bathrooms should have new towels and items in it so that you can take a shower once you are done unpacking a few rooms. Chances are you are going to be a bit on the dirty side, after all, moving is a strenuous activity. Once these areas are unpacked, be sure that you prioritize the rest of the home in terms of what should be unpacked and the like. Don’t forget to take the time to make a run to your local grocery store to stock the refrigerator and get those items that you may need to feel more at home! If you are debating on whether you are ready to move or not, remember Excel Moving is here for your moving needs! Our expertise can make the process much easier!